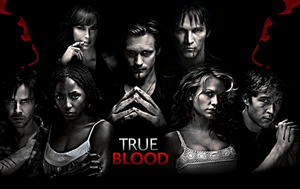 True Blood To BITE IT After It's 7th Season - CANCELLED! Home/Entertainment/True Blood To BITE IT After It’s 7th Season – CANCELLED! Next season will be the last season of HBO’s True Blood as the network has decided to stake it and give it the true death after the end of its ten episode, seventh season story arch next summer. “True Blood” averaged 4.1 million viewers total this season during its season finale. Down over 2 million viewers from it’s Season 5 finale’s combined ratings of 6.3 million viewers. I BLAME THE FREAKIN FAIRIES! Well that and the fact that Alan Ball and the writers refused season after season to kill off any of the many main characters.